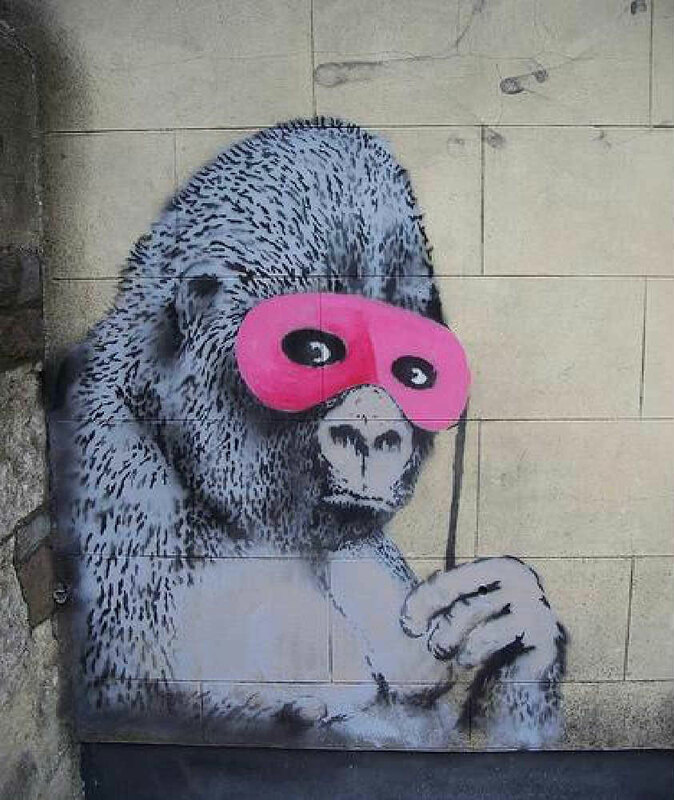 Martin Weller’s recent post about The Art of Guerrilla Research – so completely describes my personal experience of research, i.e. research undertaken by small independent groups who are up against larger forces (up against those larger funded research groups, who are usually associated with an institution, and also up against the recent focus on ‘big data’). With one or two exceptions, the research I have been involved in has never been funded and has been qualitative or mixed methods research. Martin is going to be talking about this in a Masterclass workshop that he will be running for the ELESIG community in 10 days time. Wish I could be there, but because I am not funded, I cannot justify travelling for more than 6 hours for a 3 hour workshop 🙂 This is one of the hazards of Guerrilla Research. I hope the session will be recorded. In a post by Russ Unger and Todd Zaki Warfel that Martin references, three characteristics of Guerilla Research are identified – rigor, time, and cost. Russ Unger and Todd Zaki Warfel suggest that Guerilla Research methods may involve less rigor and they take less time and cost less, but they still yield high-quality results. They say that there is probably just enough rigour. I think this is fair comment and in my own case, involved as I am in research into learner experience in open learning environments (principally MOOCs), unless I move fast, then my research is going to be out of date before I have even published it. So rigour has to be balanced with time. But I ‘own’ my time. I am an independent consultant who does research mostly for personal interest. So time for me means getting the research out there fast enough to still be of some consequence. Cost is usually not a factor for me, because I am not paid for it – unless I cost my time – which I don’t! And this is the case in the Guerrilla Research that I am currently involved in – and that is research into the most recent open course that I have participated in – Dave Cormier’s Rhizomatic Learning – The Community is Curriculum (Rhizo14) open course. If you have been a participant in this course, however minimally, my colleagues Frances Bell, Mariana Funes and I would love to hear from you. Please have a look at the survey and have a go at responding. If you don’t like the first three questions, then I think Question 4 is accessible to everyone. These resonate for me in relation to Rhizo14, but we’d love to hear about your experiences. Please let us know by completing both our survey and the survey of the auto-ethnography group. And final thanks to Martin Weller for sparking off this post. I share….. therefore I am…. But I could equally have given this post the title – People lose their identities in cybermush – which is an idea expressed (if not in those exact words) by Jaron Lanier in a conversation that he has with Aleks Krotoski about the failure of Web 2.0 – http://www.youtube.com/watch?v=aIwikI7IVYs . Turkle and Lanier’s work has come into focus for me this week for two reasons. First – they both focus on the same concerns that I have been discussing with Carmen Tschofen for quite a few months now – i.e. what is the impact of connectivity on the individual. The paper we are writing is almost ready for submission now. 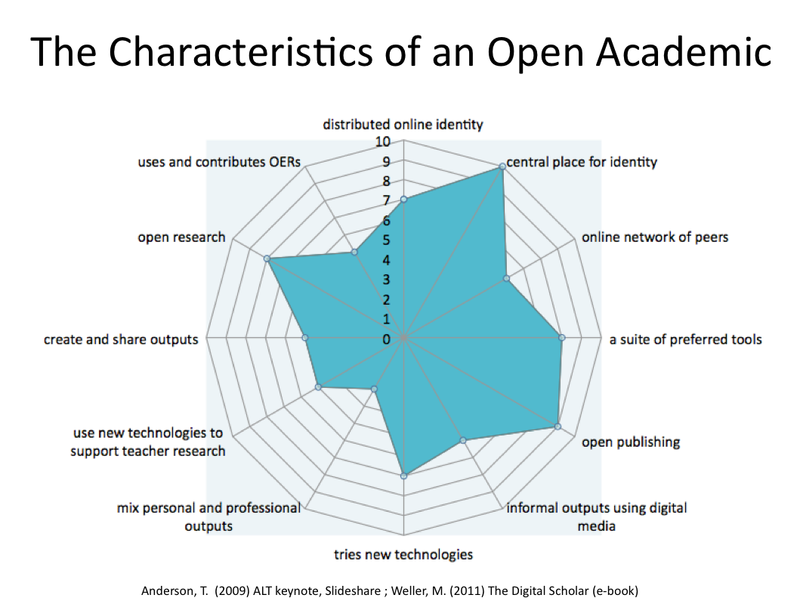 Martin Weller has been sharing his work on Digital Scholarship and in particular ‘open scholarship’. 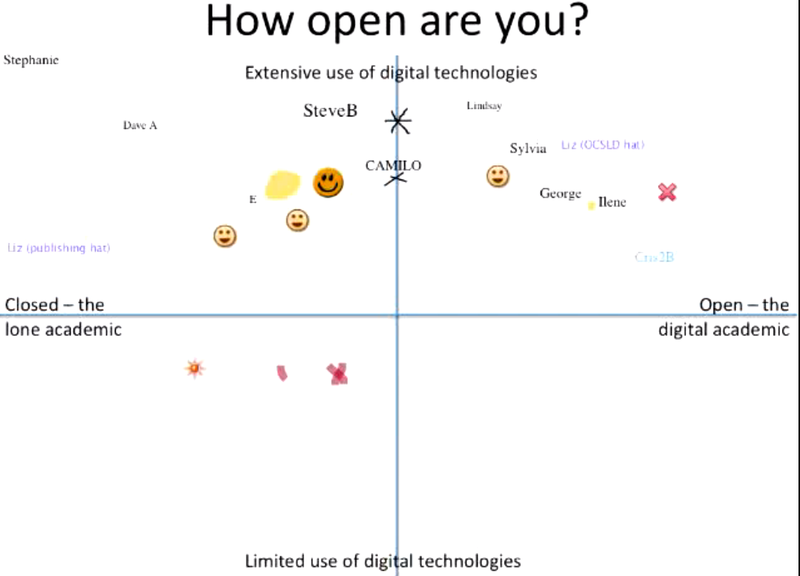 In the changemooc website he writes….. Although I have tried to avoid some of the more rabid evangelism one often encounters with new technology, it is fair to say that in general I regard digital scholarship as an improving force in scholarly practice, and that it provides ways of working that are often an improvement on existing methods. But it is not without its drawbacks and areas of concerns. In this section we will look at some of these, and consider which ones have the greatest significance and validity. It is worth considering the nature and tone of some of these criticisms (criticism of Digital Scholarship), often based on anecdotes and lacking in evidence. Is this simply a case of the evidence not existing yet, or does it reveal something about the nature of the discussion? Of the criticisms listed which ones do you feel are most significant? Beyond the ones I’ve listed do you think there are other areas of serious concern which should give us pause to reflect in the adoption of digital scholarship approaches? Moving beyond the superficial – many successful Web 2.0 services essentially allow a very simple function, for example, sharing a photograph. Can we use the same techniques for deeper, more difficult tasks? Understanding quality – this is not just about maintaining current quality, as this may not be appropriate in many forms, but appreciating when different levels of quality can be used. Managing online identity – there is a tension for scholars and their students in gaining the benefits of a social network, which thrives on personal interactions, while not compromising professional identity. Ownership of scholarly functions – there is also a dilemma regarding how much of scholarly discourse and activity we give over to cloud computing services and whether the benefits in terms of widespread use and (often) superior tools outweigh the potential risks. In the work that I am doing with Carmen, we focus on issues relating to identity, but identity in relation to the learning of individuals rather than professional identity – although there is clearly some overlap. What concerns us is that connectivity, as Sherry Turkle states, can become addictive, can make us too busy to think and can lead to simply sharing what is easy to share (superficiality), rather than ideas that are more deeply considered. Turkle tells us that ‘solitude energises and restores’ and that ‘alone’ is OK and is not the same thing as lonely. These are some of the ideas that Carmen and I have been discussing in more depth and have included in our paper. And then there has been the whole question of whether we should go down the publication/peer review route. Both of us work independently so we are not subject to the pressures to publish research exacted by many institutions, but having spent quite a few months on this work, it seems like a lot of effort if it is not going to be read by anyone. We could publish on our blogs, but I know that I don’t get what I would consider enough visitors to my blog (certainly not the daily hundreds that Martin Weller talked about), and blogs are not cited as much as papers. So the best option for me is an open peer reviewed journal – but even with these there is a delay between submission and publication. Whilst this might not be as great as for traditional journals it might still be too slow to keep up with current web conversations. So for me there is a great tension between avoiding the superficial, seeking quality and depth, and the demands of open digital scholarship.